KATE KIRWAN SEARLS is an associate attorney at GWC. Kate received her Bachelor of Arts degree from the University of Illinois Urbana-Champaign and then her Law Degree from The John Marshall Law School in Chicago. During her studies at The John Marshall Law School, Kate served as Associate Barrister of the Trial Advocacy and Dispute Resolution Honors Board. Her attention to the client-centered approach in negotiation earned her the Alternative Dispute Resolution Certificate to accompany her Law Degree. Kate continues to instill this client-centered approach while advocating for her clients and their interests. 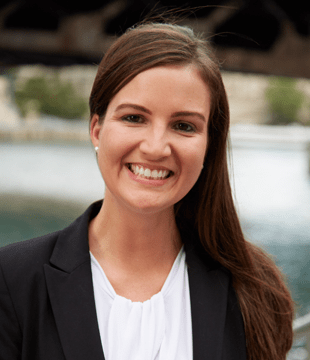 Kate is licensed to practice law in the State of Illinois. She is a member of the Chicago Bar Association and the Chicago Chapter of the Association for Conflict Resolution. Outside of work, Kate enjoys exploring Chicago and traveling with her husband.